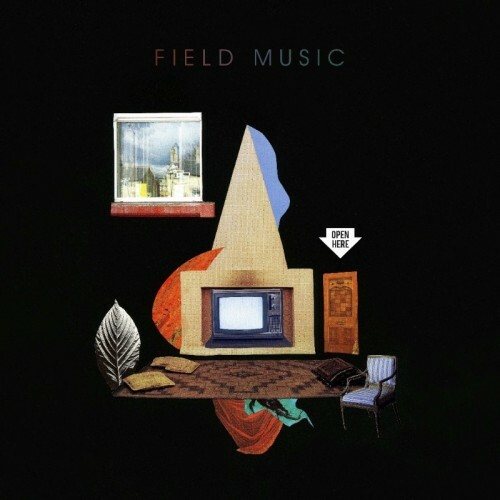 This seventh album by Sunderland’s Field Music takes a while to get going, packs a punch in the middle and then hides some gems at the back. Let’s take the middle section first. This kicks off with Share a Pillow, with saxophones and crunching guitars all wrapped up in a jazzy verse and pop savvy chorus. It sounds like a cross between XTC and The Sweet, which is a good thing by the way. The title track follows to take their chamber pop leanings to beautiful new places before moving into the funk of Goodbye To The Country and smart guitar riffs of Checking On A Message. But don’t stop at this marvelous four track run. While opener Time In Joy doesn’t immediately grab you it is full of some lovely melodies and keyboards across its five minute run and is well worth going back to. So too is the synth focused Count It Up. I wasn’t sure what to make of it at first as the higher voiced of the Field Music brothers, David Brewis, lists achievements of life. But as it builds up, the list starts to suggest far more, from social media involvement to social justice. It finishes as the most thought provoking track on the album. In the second half resides No King No Princess, a sort of ode to Prince that gets better with further listens. Among the back end of this collection sits another gem – Daylight Saving. This is one of those Field Music songs that contains multiple parts and layers that somehow can all be squeezed into a three minute pop song. Where does this latest album fit into the Field Music back catalogue? Perfectly that’s where, as it breathes new life into their multiple influences and sounds. The angular pop of one of their key influences, Washington’s Medications ,is scattered across the tracks. There’s Talking Heads, Prince as well as the usual XTC and King Crimson references too. From their chamber pop growers to its pop-tastic foot stompers, Britain’s most interesting act continues to excite. This tenth album from Arizona’s Calexico starts off as a highly impressive alternative rock album. The guitars squeal wonderfully across opener End of the World With You, crunch through Voices in the Field and pound into Bridge to Nowhere before delay pedalling their way into a short instrumental called Spinball. Its an exciting four track run that is full of great choruses and hooks but with a doom laden darkness to keep it extra interesting. Storms are coming and Calexico are loving every minute of it. This approach returns later on the album on tracks such as Eyes Wide Awake, but before we get to that Calexico for some inexplicable reason start trialling a range of different styles. It’s almost as if a few random ideas have been soldered into what could have been a truly great alternative rock album. The most jarring of these tangents is Under the Wheels – a sort of Europop reggae number. There’s more of this pop on Flores y Tamales and Another Space, which although better than Under the Wheels, seem like they should have been on another release. Here they are more like uninvited guests. There’s some strong slow, acoustic numbers here. These are also good in their own right, especially the excellent The Town and Miss Lorraine and Music Box, but perhaps more suited elsewhere. They just don’t seem to fit on this album. The conclusion I’ve come to after many listens is that The Thread That Keeps Us ironically lacks a thread to keep it to together. This is sad as each track, except Under the Wheels, is good in its own right. It is just I’m not sure when I’d want to sit down and listen to all 15 tracks in a row. Perhaps, in an age of streaming and play lists that doesn’t matter anymore. 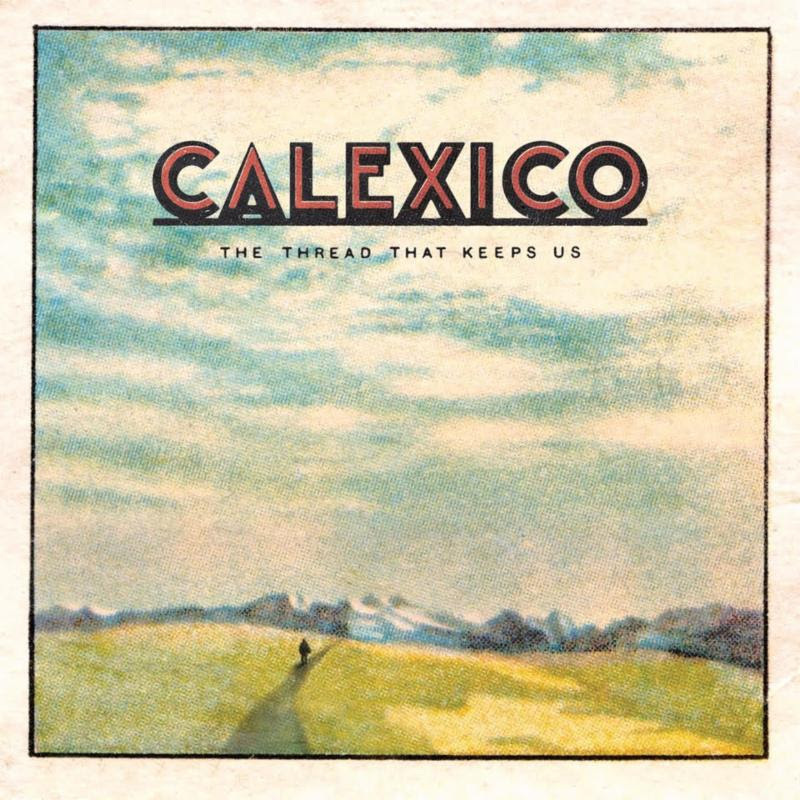 But not being able to listen to Calexico release as one perfectly crafted collection is not a feeling I’m accustomed to. The horn laden Hot Rail and the beautiful melancholy of Carried to Dust continue to attract me to this day from start to finish. The same can’t be said of this interesting but ultimately uneven collection. For more information visit Calexico’s Facebook page here. Eu-bleedin’-phoric! There’s no other word to sum up the sheer exhilarating joy of this new The Go! Team album. It’s been a long wait since their last, our 2015 top ranked album The Scene Between, but as the saying goes, it’s been worth it. This time around Ian Parton and his crew have crammed in even more melody, pop and fun as well as a marching band and steel drums. They have also found time to delve into the archives of rare 1980s hip-hop. Opener, All the Way Live, is the archive plundering number. This samples a 1983 record made by students of an after school hip hop project by students of the Carver Senor High School, Chicago. It’s an excellent, uplifting start to a Go! Team release that feels like a larger collaborative effort than is predecessor, which was written, performed and produced largely by Parton. Joining Parton and current live players Simone Odaranile (drums) and Angela ‘Maki’ Won-Yin Mak (vocals), one of our favourites Annelotte de Graaf (aka Amber Arcades), Julie Margat (aka Lipspector) and two original members guitarist Sam Dook and rapper Ninja. At times it feels like a whole school full of 1980s kids is also involved, which is a very deliberate aspect to the album with Parton mic-ing up instruments from a distance to make is sound like they are being played in a gymnasium or on the march, as sousaphones, glockenspiels and steel drums are also brought into the mix. As well as the 1980s opening other high points include the full on brass band title track, a song it is impossible to dislike. May Day is another instantly loveable The Go! Team track, on an album of remarkable consistency, as is the Phil Spector-esque, The Answer’s No, Now What’s the Question. The Go! 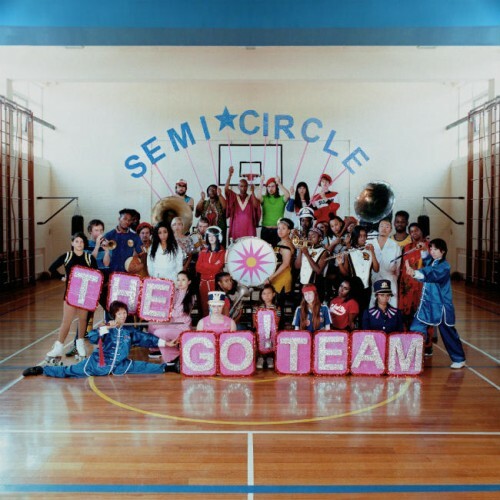 Team’s Semicircle could very very well already take the title of most fun album of the year and it’s only January. It is certainly an early frontrunner for the summit of our end of year releases list. With no faults found it deservedly gets our maximum score. For more information about The Go! Team visit here.